Shamir Salads is an industry leader in Israel, and has successfully penetrated into divers international markets such as the US & Canada, Europe, Far East, and Russia. Hummus (selection of flavors), Tahini, Eggplant (selection of flavors), Spicy Carrots, Coleslaw, Beat Salad, Red Pepper, Spicy Tomato etc. Our salads are known for their high quality and excellent taste. We carry over 80 different varieties of homemade style chilled salads. Today, we produce about 1,300 tons a month, and have the capacity to double the quantity to 2,500 tons in three shifts. We send every day hundreds of laboratory tests to authorised external laboratories for chemical and microbiological testing in order to comply with the Ministry of Health requirements and regulations. We export our products successfully to various location worldwide for over 20 years We have all the necessary authorization and certificates needed to export to - EUROPE; USA & CANADA; RUSSIA; FAR EAST. 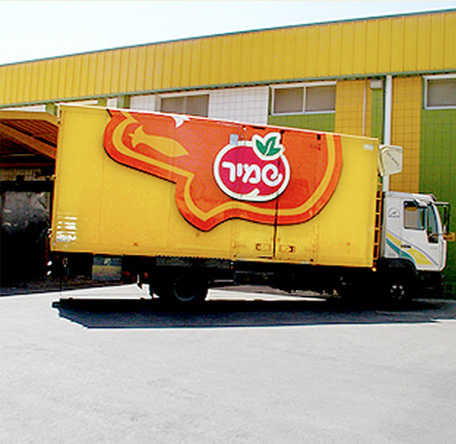 We supply to all the supermarket chains in Israel, as well as to private stores and private supermarkets. We are the sole producer of the Private Label of several supermarket chains, such as Supersal (by far Israel's largest supermarket chain). We are the sole supplier for the I.D.F (Israel Defense Forces) and to all big Catering companies, Hotels, and Restaurants. We are the only local supplier that produces and market a Fresh Non Preservative series with up to 15 days of shelf life for selected stores.